A USB mouse only for a Mac? Pleeeezzze . . .
Every once in a while Puppys have to buy hardware. A new laptop, a USB camera, a motherboard replacement. So if the manufacturer says it runs on Linux, it can run on Puppy. Do not buy legacy or specific OS hardware. So what future hardware to recommend? As far as I am concerned a low power Puppy running on ARM is too much fun . . .
We can test that ARM Puppy . . . Anyone with a spare $35 and a compiler gonna join us? ..a 3d buckyball, which is a nice reminder of π. The designer points out that a buckyball has 32 faces, and that 11 are visible in the logo – the Raspberry Pi has a 32-bit processor and an ARM11 on board (someone got awfully lucky with the numbers here). Getting a development board is not easy, so perhaps Lobster can go try to get one, and we chip in to send it to an interested developer. Please bill me by PM. so why can we not make a Debian small distro that is "almost" a clone of Puppy? I can chip in Dollars for that one if it works on the standard ARM surf pads them sell for nothing. USB keyboard, USB mouse, plug into TV - I haz ARM . . .
OK, I will buy one, most likely it will be for Barry. Sorry, I can't have time for compiling 'coz am at the usage/testing side and website maintenance. As to nooby's RAM comments, Puppy is quite comfortable with 256 MB RAM. Is there a GPU binary? Yes. The GPU binary also contains the first stage bootloader. GPU what is that? Graphical Processor Unit? What the drivers provide is an API to the GPU. That is, there are drivers for OpenGL, VG and MAX. All they do under the skin is convert the API in to messages passed to the GPU. to an extent most people wouldn’t believe, so no need to have access to it!). As said elsewhere, the kernel itself is standard Debian, so no reliance on the vendor there. and it worked first time on the Pi prototype. a puppy from the knowledge gained looking at that code? Will it run <insert name of program here>? can be compiled for the ARMv6 architecture. discussed on our forum, so you might want to look there for an answer. What Linux distros will be supported at launch? Debian, Fedora and ArchLinux will be supported from the start. We hope to see support from other distros later. We will be selling SD cards with the distros preloaded. As I get it the standard lowest priced unit have only 128MB RAM. I don't mind paying the higher price though. 35$ means nothing for an old retired person. for a $5-10 additional cost. Thanks for finding those info, nooby. We should therefore buy Model B. To get updates, I subscribed to the email list in the front page. It’s like a 300MHz Pentium 2. Here is an important thread on their forum? but if your interested do read it. Very entertaining. what most of us expect. Booting is in a proprietary binary file. that OS. Nothing any of us can set up? Only Broadcom knows how to. Am I not right? I am a poor reader of text so check it out. Once we have one ARM . . . others will follow . . .
Nooby asks about security - it begins . 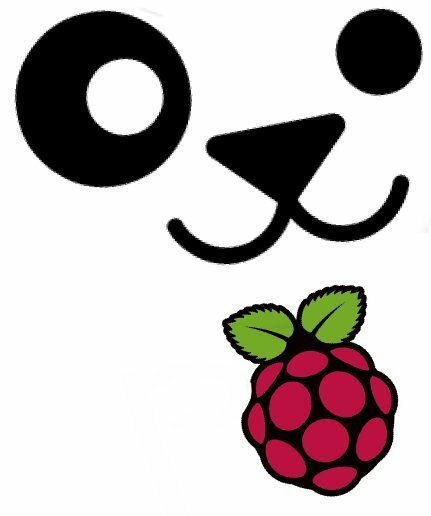 . .
i've been following the raspi for a bit and dreamed of puppy but i can't really provide any help... what i can do is provide server space. somehow thru the years of the internet i've managed to get a free unlimited hosting (20g room) provided by justyouhosting.com (cool dude!). i'm not using this server really at all... occasionally for shoutcast server but right now absolutely nothing. been dieing to do something useful and this is my ideal project. my 19" modern 16:9 wide screen for Youtube things. It can use usb keyboard and usb mouse and usb wifi dongle. don't feel stingy or what the word for not expandign is. write that it use a proprietary boot in a Binary. It does not boot with a standard boot loader. It uses a proprietary binary! Did not one of the admins tell us that that is what we have to adjust to. binary code? It is not like just changing a grub4dos open code! the devs are very active on their forums ... so much so i'd be willing to bet they would be willing to help to get puppy to boot and/or donate a board for puppy. My confusing English will only be a hinder and not a help. But I will go there and read and comment back here most likely. Ooops important. Check up on the following your wrote. but Barry is the lead Dev and Murga is Admin of Forum. Murga is a Dev but not the lead developer as I know?